IBC 2017 features an integrated IP Showcase theatre, curated by IBAM, where a series of presentations covering the full gamut of knowledge for real-time IP production and intra-facility distribution is running non-stop. It is catering those considering IP for the first time through those who have already embraced it. Peter Bruggink, CTO NEP The Netherlands will showcase how NEP has blazed a trail to dramatically reduce the on-location and in-studio resources required for live sports events and studio production with its multi-user IP-based video production platform Cloud Production. Marc Segar, Director Technology NEP Australia, explains the technology behind NEP Australia’s embarking on the largest IP roll out to date. Rights holders, broadcasters and telcos now have the opportunity to work together in live (sports) production as never before. Using an IT based infrastructure to cost effectively streamline IP based media workflows they can improve their business models by accessing more flexible managed services to improve the utilization of both creative talent and technical resources. NEP The Netherlands covers the real creative benefits and learnings of 2.000 live productions using an IP infrastructure, and Peter Bruggink explains the technical integration and standards to achieve the full potential of IP whilst integrating multiple third-party vendors into sustainable IP workflows. With Cloud Production, all the creative and technical resources are available from NEP’s cloud based IP infrastructure. It means sustainable real-time sharing of central resources that can be efficiently deployed to simultaneous locations. Designed around a multi-client, multi user and centralized environment, NEP Australia is embarking on the largest IP roll out to date. 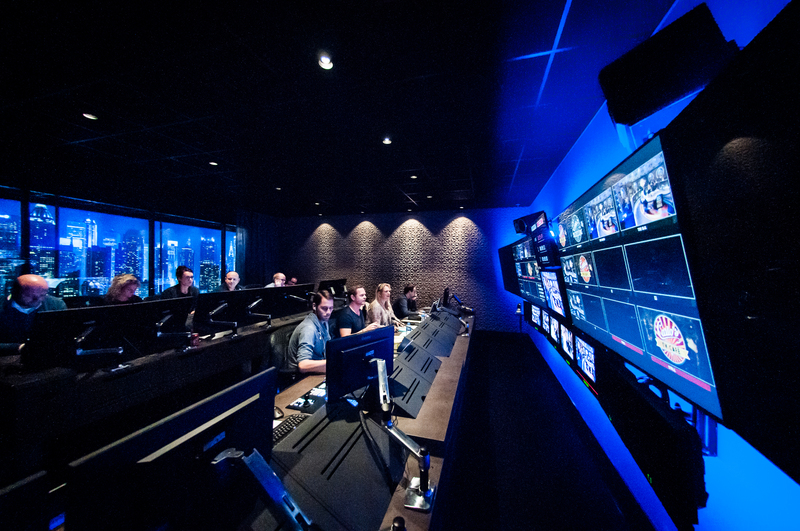 Four new all IP broadcast trucks, seven upgraded existing trucks, and two new IP production centres are creating centralized facilities for equipment, whilst technical and production staff have the flexibility to work anywhere on the new network. All equipment and resources are shared in real-time across all connected locations. Twentynine tier one sports arenas are connected to a new, media based IP and fully redundant network allowing for up to forty uncompressed HD cameras from each venue. Seven production galleries across the two sites in Sydney and Melbourne will allow for large sporting events to be produced centrally and concurrently with a minimum crew at the venue. Marc Segar explains the drivers and key benefits behind the science of the technology. You can find the IP Showcase theatre here. Listen to Peter Bruggink on Friday (September 15), 13.50 – 14.10, and Marc Segar on Saturday (September 16), 11.40 – 12.00.